The move announced by team president Mark Murphy came after a stunning 20-17 loss on Sunday (Dec. 2) to the Arizona Cardinals, dropping Green Bay to 4-7-1. Murphy said the process of hiring the next head coach would begin immediately. McCarthy was in his 13th season as coach. The Packers won the Super Bowl under McCarthy in the 2010 season. He finishes with a record of 125-77-2. 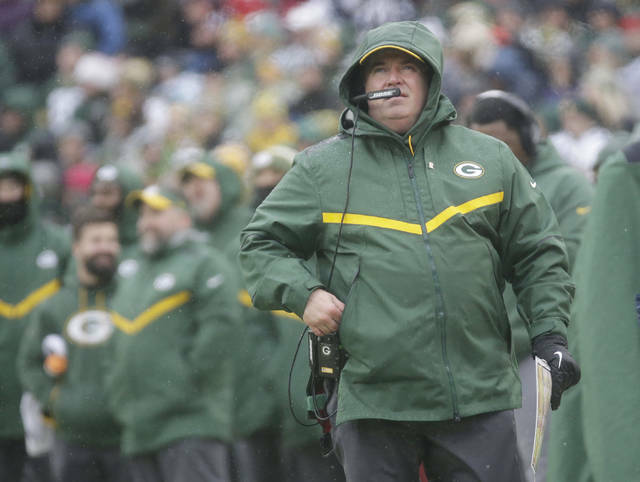 “Mike has been a terrific head coach and leader of the Packers for 13 seasons, during which time we experienced a great deal of success on and off the field,” Murphy said. In 2016, the Packers started 4-6, then won eight straight games to get to the NFC title game, losing to the Atlanta Falcons. Green Bay finished 7-9 and missed the playoffs in 2017, when Aaron Rodgers missed extensive time with a broken collarbone. McCarthy shook up his coaching staff, including bringing Philbin back as offensive coordinator and hiring Mike Pettine to replace Dom Capers as defensive coordinator. Different problems emerged. This year, Rodgers hurt his left knee in the season opener, though he is feeling better now. Receivers Randall Cobb and Geronimo Allison have missed time with injuries. The same issues kept popping up for the offense, most glaringly, empty third downs and a lack of explosive plays. 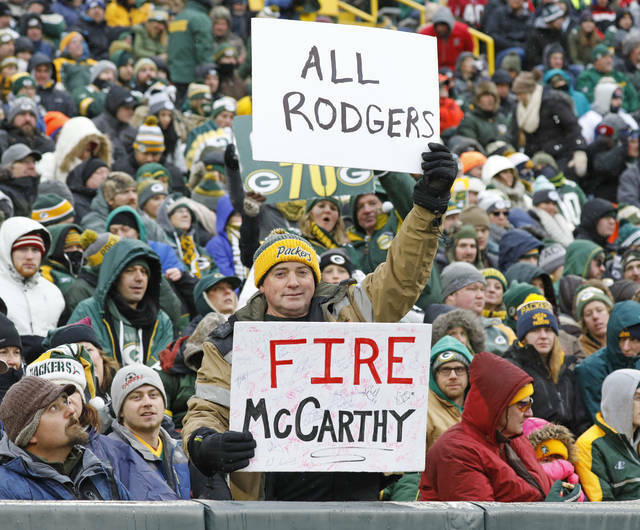 Rodgers was asked after the game — but before McCarthy’s firing was announced — how much blame offensive players should get if the Packers made a coaching change after the season. Cobb’s return on Sunday didn’t help, with the Packers just 3 of 14 on third downs. “I hate to repeat myself, but it’s applicable. … We’re not executing the right way,” Rodgers said. The opening play of the fourth quarter was a perfect example of Green Bay’s offensive struggles. Rodgers found Cobb for a 36-yard completion on third-and-11, but the play was wiped out by a holding penalty on right tackle Jason Spriggs. Rodgers said his focus was getting his teammates to “play with that pride” and focus on the next four games. “Yeah, I mean I’m not even thinking about that right now,” Rodgers said when asked if he would have any role after the season with general manager Brian Gutekunst or Murphy about what direction they should go with the coaching staff.